The second set was again tight as both players' serve dominated on the grass court but Federer edged it on a tie-break. "I played very well throughout the tournament, it is a great comeback for me. I am so happy to have won," said Federer. "I was hoping to play a couple matches here but I have played four and won them all. The last few have been very good. "I hope I keep it up at Halle and Wimbledon. It will give me a boost as well being back at world number one." Elsewhere, Richard Gasquet earned his first title of the year and the 15th of his career after beating fellow Frenchman Jeremy Chardy to win the Libema Open at s'Hertogenbosch in the Netherlands. 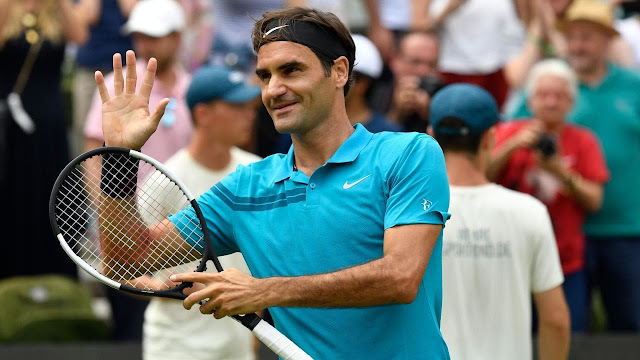 The 31-year-old, who had not won a grass court title since the first two tournament wins of his career in Nottingham in 2005 and 2006, beat Chardy 6-3 7-6 (7-5).